Coming back to the office on a Monday morning is often a less than enthusiastic affair. 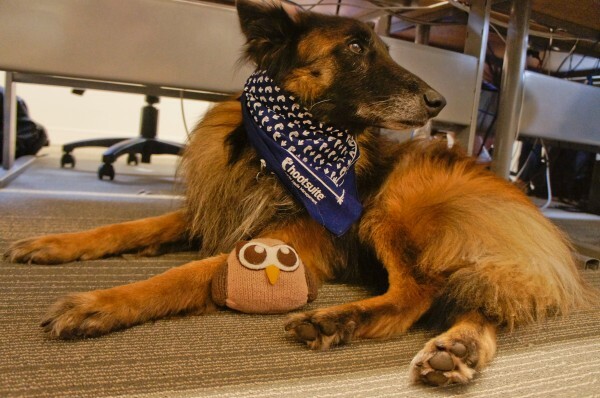 Good thing HootSuite’s K-9 community is just as diverse and loving as our owls around the globe. There is never a shortage of cute puppies to snuggle with before, during or after a long day in the office. 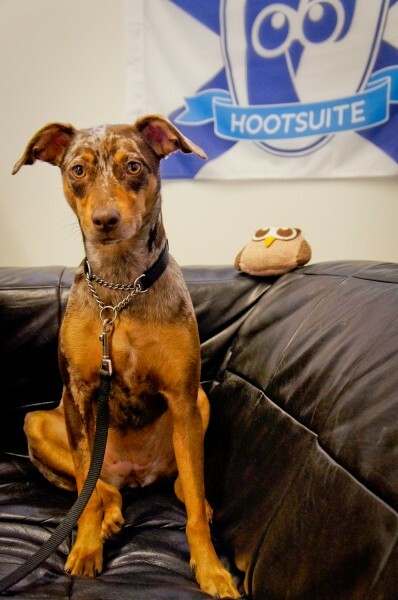 So, with out further ado, let HootSuite introduce you to some of our HootDogs! 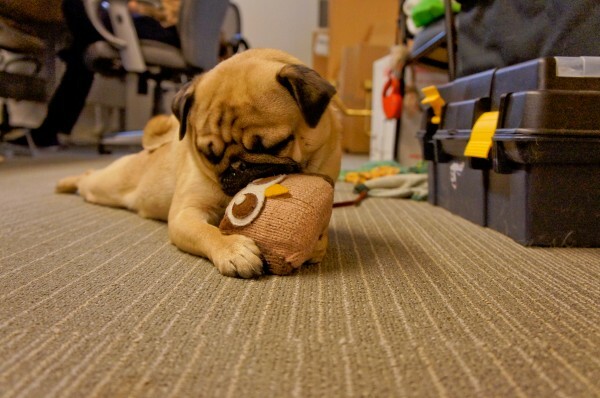 Monty has his own little castle snuggled in behind his dad David Chan, HootSuite’s Senior Software Engineer. 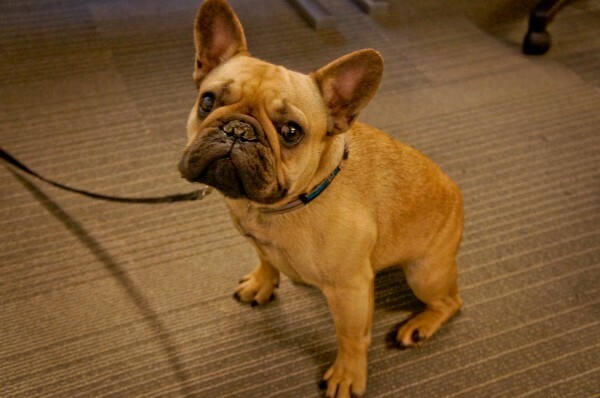 Monty works hard to cheer up everyone in the office and is a well known cure for the workday blues. Be friends with Monty on Twitter by following @MontyPug. 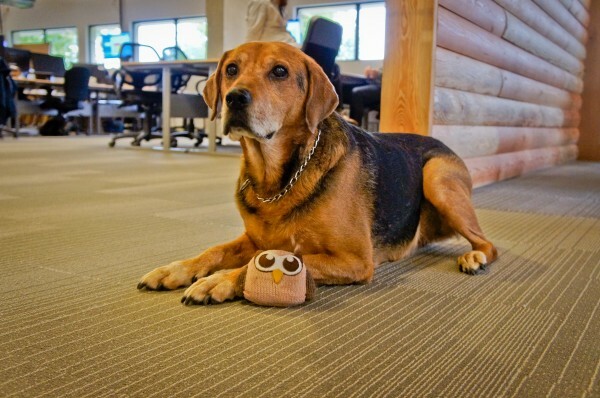 Most of the time Link is stretched out cozy with his mum Sandy Pell, HootSuite’s Public Relations + Communications Manager. If not there, he’s hiding upstairs with dad Steve Pell, a Visual Designer on HootSuite’s development team. Be friends with Link on Twitter by following @LinkPell. Hudson hangs out with dad Thomas Shaw, a Web Application Developer at HootSuite. He may look shy, but don’t be fooled — these floppy ears will be trotting towards you before you turn the corner. 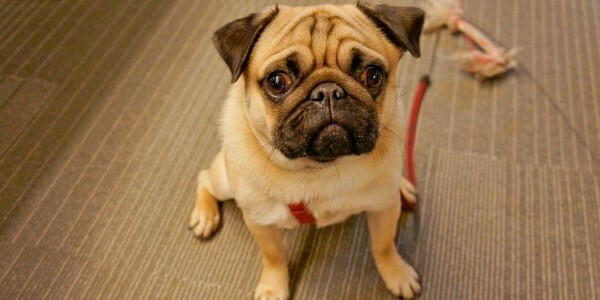 Tulley is probably the wisest and most patient creature in the HootSuite office. 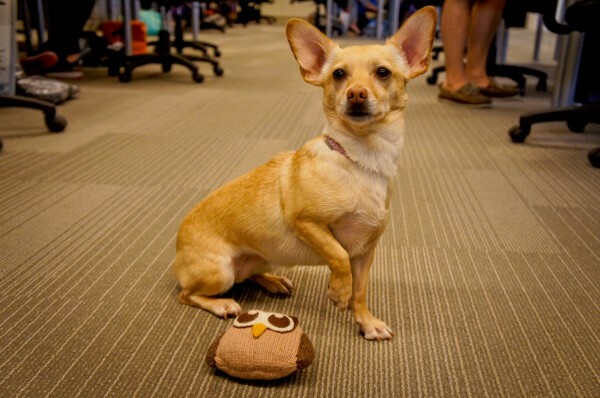 She chills out next to mum Katie Shindler, Regional Sales Manager on HootSuite’s Strategic Accounts team. Leelou is full of more love than she knows what to do with and will often be spreading it all over the office. 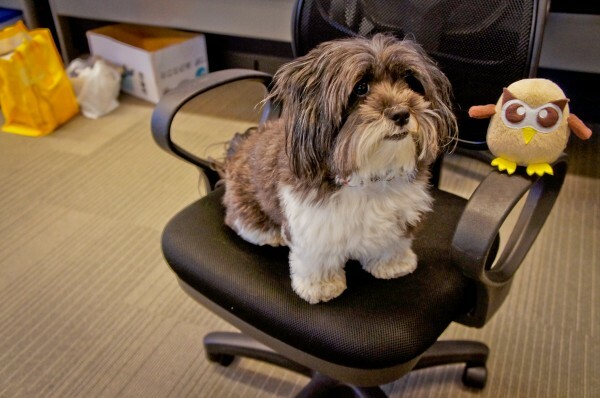 She’s HootSuite’s smallest Customer Advocate and dad Stephen O’Grady‘s number one gal. Be friends with LeeLou on Twitter by following @LeelouHoots. Cash can always be found hot on the heels of mum Chandra Brun, HootSuite’s Corporate Account Manager. If she’s not curled up napping, she’s probably rolling around belly up waiting for a good rub. Louis is learning that chewing his human’s knitted hats makes them sad– so he’s adopted a ‘look, but don’t touch’ policy for the little knitted Owly. 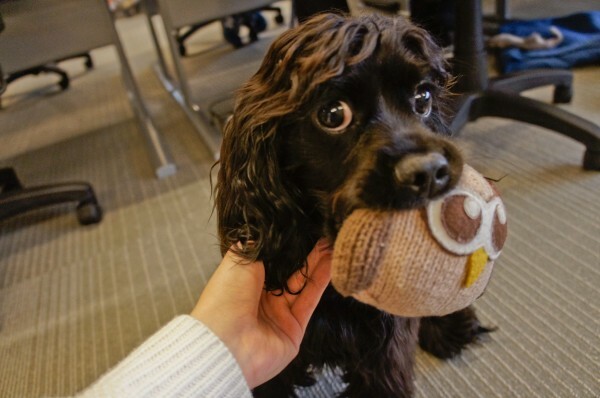 Louis really loves walks, so dad Kurtis Wallis–HootSuite’s Corporate Account Executive– lets everyone in the office have a bit of one-on-one Louis time. They say behind every great man is an even greater woman. For HootSuite’s CEO Ryan Holmes, that lady is Mika. Always close by, Mika makes sure dad takes the time to slow down during even the busiest days. 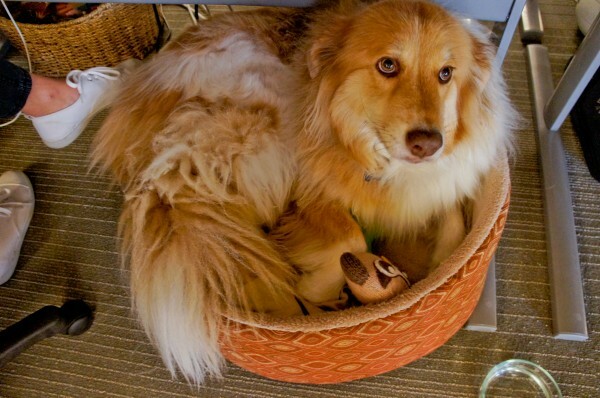 Find Gretta sitting curled up and cozy over in HootSuite’s Pro team. She may be a tad bit reluctant about getting out of bed, but aren’t we all? Either way, she will do just about anything for dad Jaxon Lam, Affiliate and Search Specialist. Akira is never too far from Bocar Dia, HootSuite’s Corporate Sales Manager. ‘Little queen B (B for Bocar, of course) loves sitting right up next to dad on her computer chair throne, making sure he keeps smiling throughout the workday! Ember would like to cuddle– all the time, everyday, every minute– if she could. 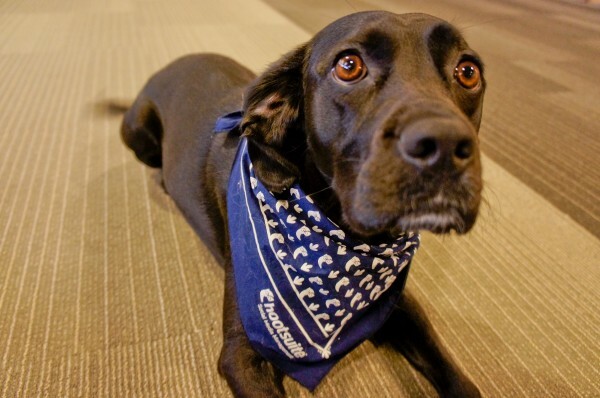 She says hello in smooches and adores dad Conrad Chartrand-Houlden, HootSuite’s Manager of Strategic Account Services. 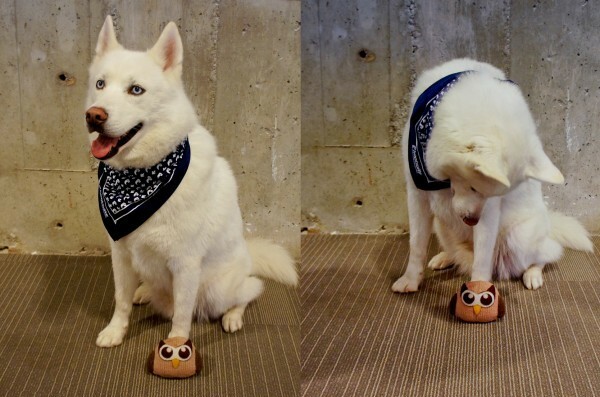 Don’t forget to comment below and vote for your favorite #HootDog! Check back next monday for volume two of #HootDogs! Awarded #1 Best Company to work for by BC Business, apply now.